Running out on your wedding day never goes down well. When the pressure of her forthcoming marriage becomes too much, Jude bolts from the church, leaving a good man at the altar, her mother in a fury, and the guests with enough gossip to last a year. 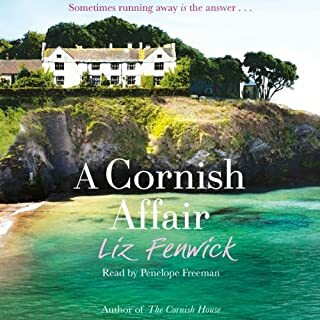 Guilty and ashamed, Jude flees to Pengarrock, a crumbling cliff-top mansion in Cornwall, where she takes a job cataloguing the Trevillion family's extensive library. I have to disagree with anyone who said the narration was good. I wonder if the narrator has ever heard an American accent before. Love it or hate it Americans, myself included, pronounce Rs strongly. This narrator mispronounced essentially every word that contained an R such as saying "draw" for "drawer" as well as other mystifying pronunciations for words such as "aqua". Also the narrator sounded much older than the character she was portraying which led to disbelief and a lack of developed characterization. The story itself was very predictable and lacked realistic dialogue. I got this story as a two for one deal and knew it was something I wouldn't normally listen to so I'm not really disappointed but at the end of the day I couldn't stand the narration no matter the content of the story. I found this book very powerful. The attention to detail is incredible and the story it self sad but worth a read. To be honest though, I found the narrator a bit dull and his accents were at times unfortunate or didnt's seem to fit the character. 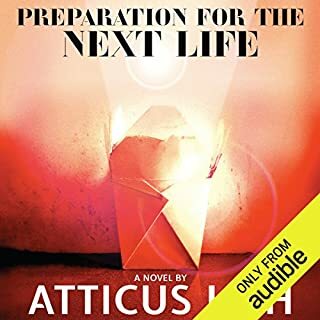 I also think that becasue it jumps around a lot I wish that I would have read it in print to be able to go back and read again what happened which is more difficult with an audiobook.